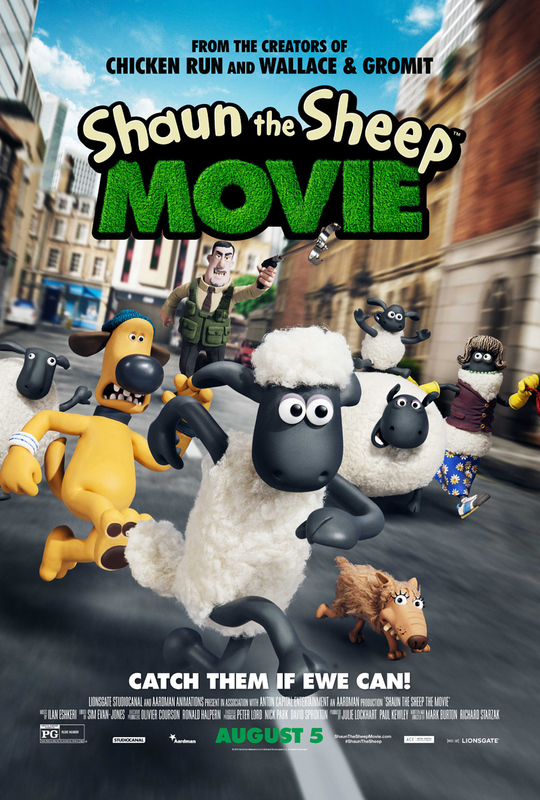 SYNOPSIS: When Shaun the Sheep decides to take the day off and have some fun, he gets more action than he bargained for. A mix up with the Farmer, a caravan, and a very steep hill lead Shaun and his farmyard pals to the Big City, where they must return everyone safely to the barnyard. 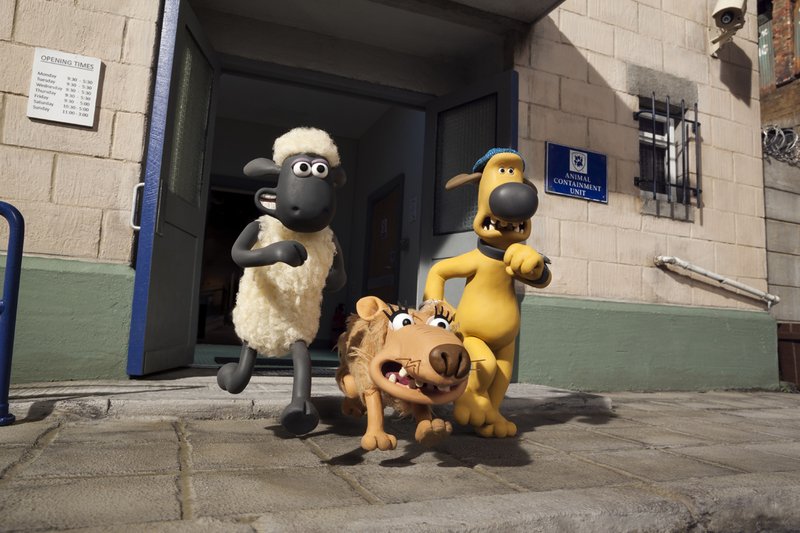 REVIEW: The first thing you need to know about "Shaun the Sheep" is that there's no dialogue. Well, there's some dialogue, but nothing I could understand. But that only adds to the charm of this cute family film from Aardman Animations, the same company behind "Wallace & Gromit" (there's also a "Shaun the Sheep" TV series on the Disney Channel). since they were baby lambs. the Farmer sleepy, put him in the farm trailer, and have a day off. ends up in the Big City with memory loss and finds work as a rock-star hair stylist. perfect family film for parents to see with their kids. winner for both kids and grownups. scene includes a scalpel about to cut into skin. Profanity: No language, but plenty of potty humor (poop jokes, farts, burps). 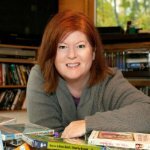 show or cute animated stories about animals. Will Grownups Like It? "Shaun the Sheep" is adorable, and grownups can rest easy knowing there's nothing too questionable here for kids.